Welcome to round 94 of the travel photo roulette contest! I am honored to have won the last round run by Greg of Adventure of a Good Man on the theme of WOW. So now it is my turn to run the challenge. Yeah! 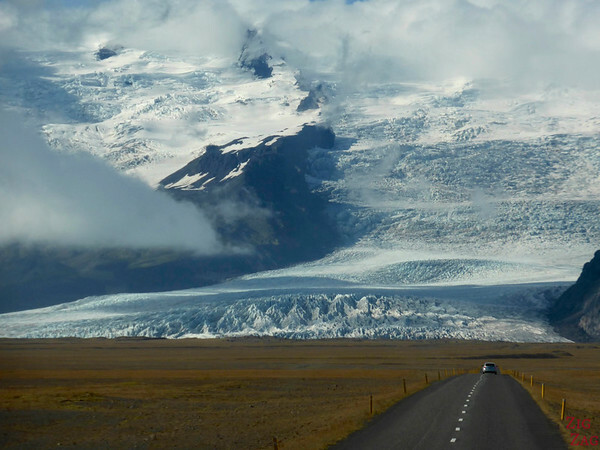 The theme for TPR94 is inspired by my winning picture (on the right) which was taken from a moving bus in Iceland. ROADS & TRACKS, take me on your trip! I want you to share pictures with roads or tracks leading the shot, which give me the impression to be right there on the road/path. I want to feel like I am going to take the next step or drive the next meters with you on that trip. Melissa from WHERE'S THE GOS? Melissa your turn to run the contest! To enter in the Photo Roulette competition simply leave a comment below with a link to the image (whether Flickr, Picasa or your own site) and I will upload it to this post. Don’t forget to provide a brief description or caption for the photo so the viewers can get a little background as to what’s happening. You can also give a link to a post telling the story behind it and I will include a link to it. Check back here through the week to see all the entries as they come in – feel free to comment on them. The contest runs for 7 days, from now until February 2nd, 2015 when the submission period ends. I will announce the winner within a couple of days after closing it, and he/she will host the next round. Abstract thoughts can be fun, as long as everyone can understand. Since you must be able to host the next round, the contest is only open to travel or photography blogger. Sorry! The Dark Hedges may be one Northern Ireland’s hottest attractions right now. Used in the Game of Thrones, this lonely stretch of road wasn’t the easiest to find, but was well worth the effort. Here, beech trees dating from the mid-1700s form a tunnel-like canopy over the roadway as the branches entwine. The Dark Hedges is like traveling back in time. This is shot of our first of three days trekking between the towns of Imlil and Setti Fatma in Morocco. The path wound up craggy, snow peaked High Atlas Mountains and passed through dusty Berber villages. To follow this track is to find one of Morocco’s greatest adventures! This is from the small town of Wallace in Northern Idaho. Endless roads in an endless desert will eventually lead you through America’s backyard to Monument Valley. Sacred to the Navajo you immediately feel the uniqueness of this place as you arrive (recommend to arrive just in time for sunset). Don’t be shy and enter the valley, with you own car of better yet with your own Navajo guide, and explore one of the most accessible remote places still around! On my road trips, I seek the smallest possible roads. Unpaved roads are my favorite. On this road trip to Florida, I did not expect to find many unpaved roads, plus my rental car was this fabulous convertible Ford Mustang which is not off road worthy. The sensible, fast, and typical drive between Naples and Ft. Lauderdale is the I-75 super highway. I had driven that route many times and was determined to find another route. I traversed many neighborhood streets until I reached the edge of the Everglades, where this photo was taken. I then continued exploring many small roads until eventually reaching my final destination of Ft. Lauderdale. Best thing is that I only saw I-75 when driving under it one time! Where will the spiral staircase take you? Golden Mile Tower was a once forgotten relic in Singapore, now slowly being rediscovered again after Independent Cinema The Projector set up shop in it. Instead of taking the lift, why not climb up this spiral staircase flight and be rewarded by a beautiful art deco chandelier right on top! SHOW ME YOUR BEST SHOT! Thanks for your entry Melissa. I have visited a lot of Australia but not that place. This is a great shot! 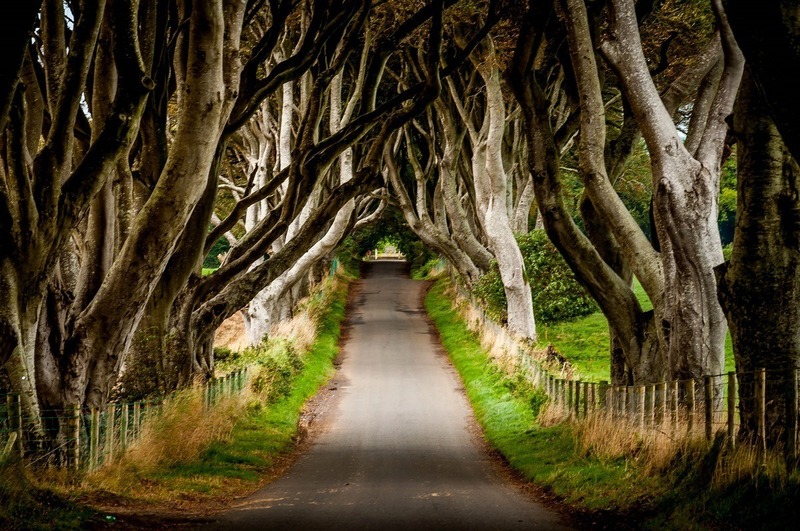 The story: The Dark Hedges may be one Northern Ireland’s hottest attractions right now. Used in the Game of Thrones, this lonely stretch of road wasn’t the easiest to find, but was well worth the effort. Here, beech trees dating from the mid-1700s form a tunnel-like canopy over the roadway as the branches entwine. The Dark Hedges is like traveling back in time. Story: This is shot of our first of three days trekking between the towns of Imlil and Setti Fatma in Morocco. 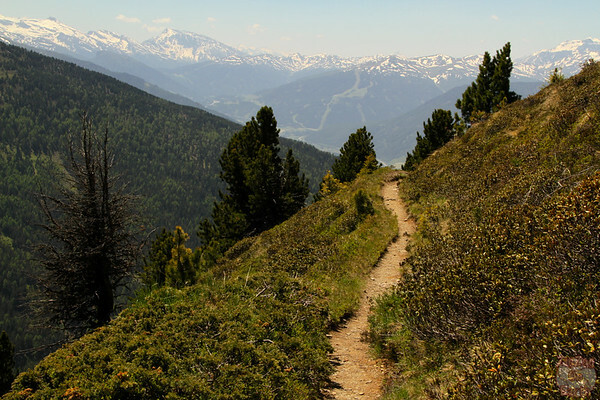 The path wound up craggy, snow peaked High Atlas Mountains and passed through dusty Berber villages. To follow this track is to find one of Morocco’s greatest adventures! 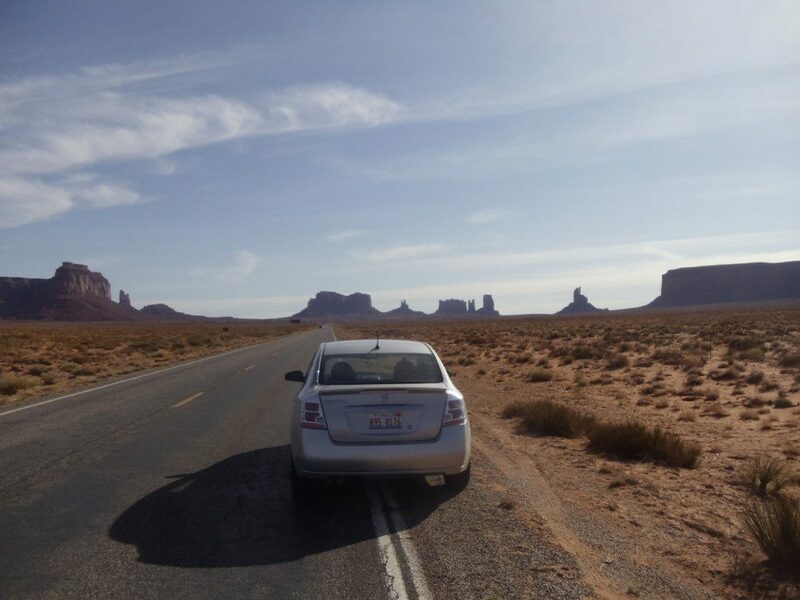 The story: Endless roads in an endless desert will eventually lead you through America’s backyard to Monument Valley. Sacred to the Navajo you immediately feel the uniqueness of this place as you arrive (recommend to arrive just in time for sunset). Don’t be shy and enter the valley, with you own car of better yet with your own Navajo guide, and explore one of the most accessible remote places still around! 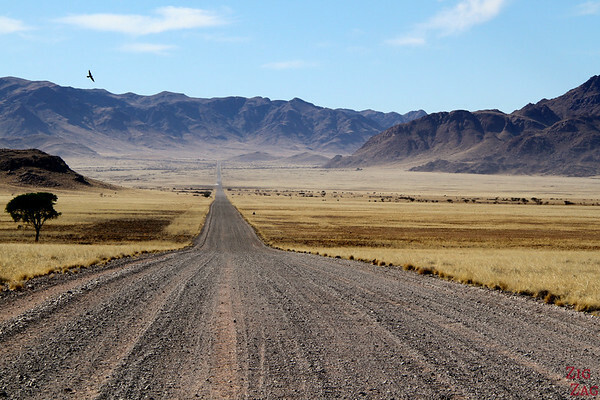 Story: On my road trips, I seek the smallest possible roads. Unpaved roads are my favorite. On this road trip to Florida, I did not expect to find many unpaved roads, plus my rental car was this fabulous convertible Ford Mustang which is not off road worthy. The sensible, fast, and typical drive between Naples and Ft. Lauderdale is the I-75 super highway. I had driven that route many times and was determined to find another route. I traversed many neighborhood streets until I reached the edge of the Everglades, where this photo was taken. I then continued exploring many small roads until eventually reaching my final destination of Ft. Lauderdale. Best thing is that I only saw I-75 when driving under it one time! Hi there,. Glad to see my image posted, but can you please correct the spelling of my name–it is carolE . It needs to be corrected in three spots. Well, I hope the next winner will post an alert on Twitter so that we have a chance to enter. Hi Juergen. Sorry about that I am not active at all on Twitter. Hello I tried to join the next Photo Roulette … but that winner’s blog isn’t active anymore and their photo is no longer visible on your blog. Are you choosing another winner? I couldn’t find any reference to the March Roulette… can you help?